As much as I wanted to own all the gorgeous pieces in this collection, I know I have to save up for the other holiday collections that are releasing real soon. So I limited myself to only pick up one item and it is the One Shocking Moment Cheek Studio Palette ($100 AUD at Mecca). 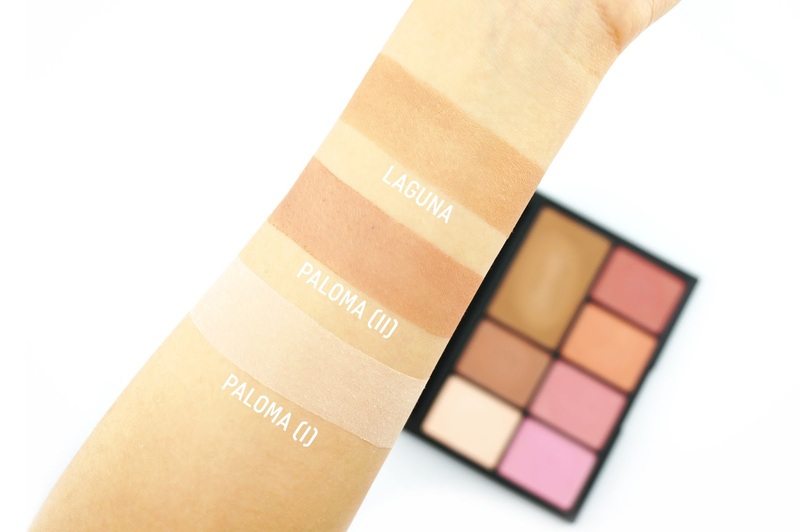 I wanted to get this swatch post up as soon as possible just in case you are interested in this palette, because I know they are selling out pretty fast. 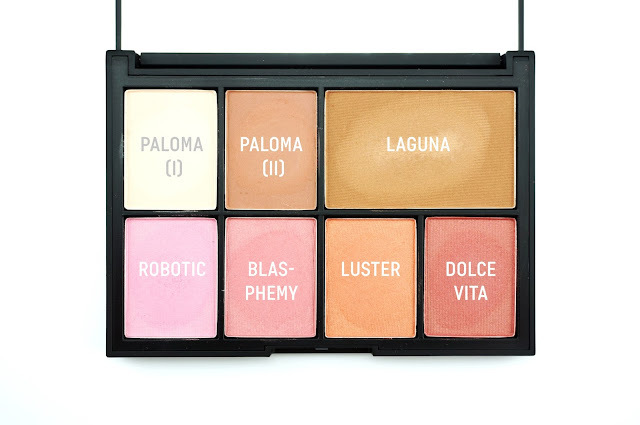 This palette is what I call, love at first sight. 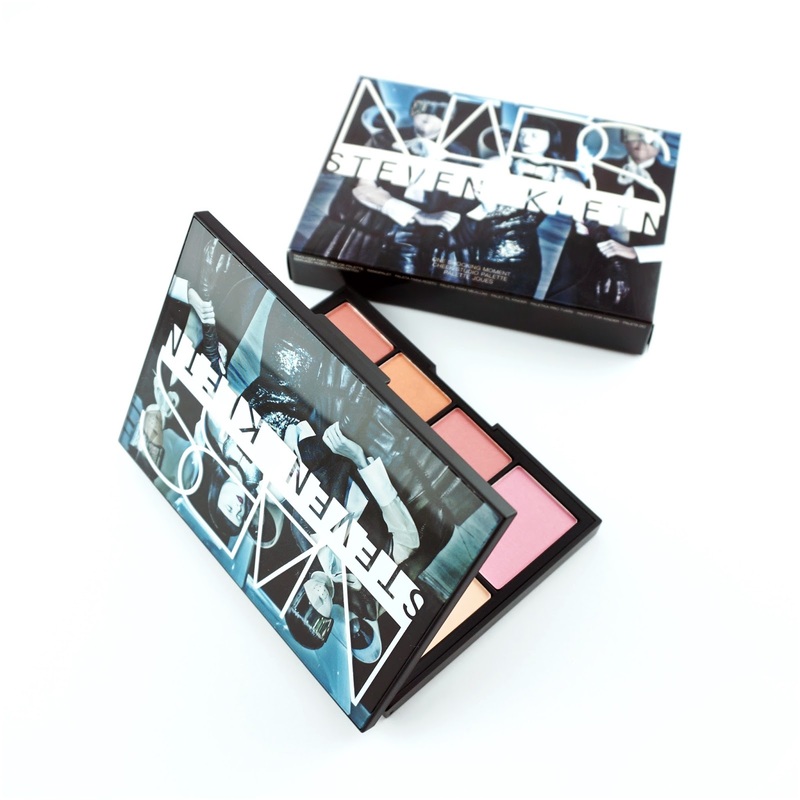 The One Shocking Moment Palette is a powder blush and bronzing set of seven shades including the Paloma highlight and contour duo, Laguna bronzer and four blushes - Robotic, Blasphemy, Luster and Dolce Vita. 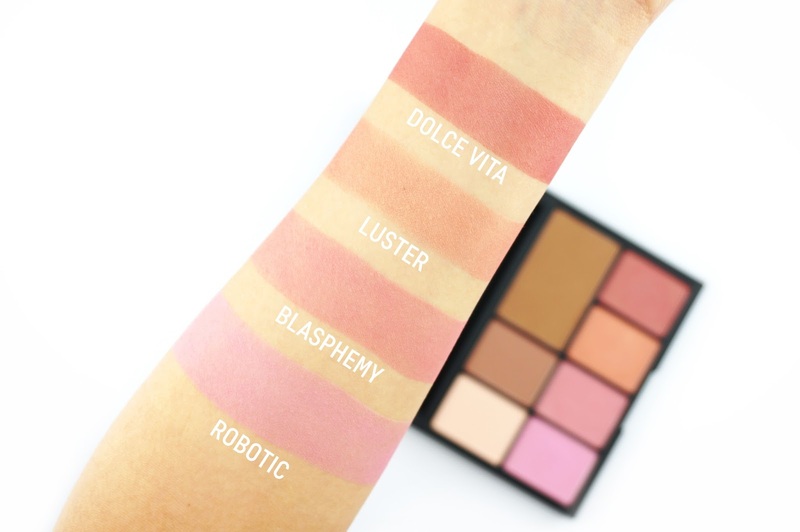 While most of the shades are from their permanent line, Robotic and Blasphemy are two limited edition blushes that are exclusive to this palette. Can we take a moment to admire the packaging? I love the graphics and imagery across the whole collection. 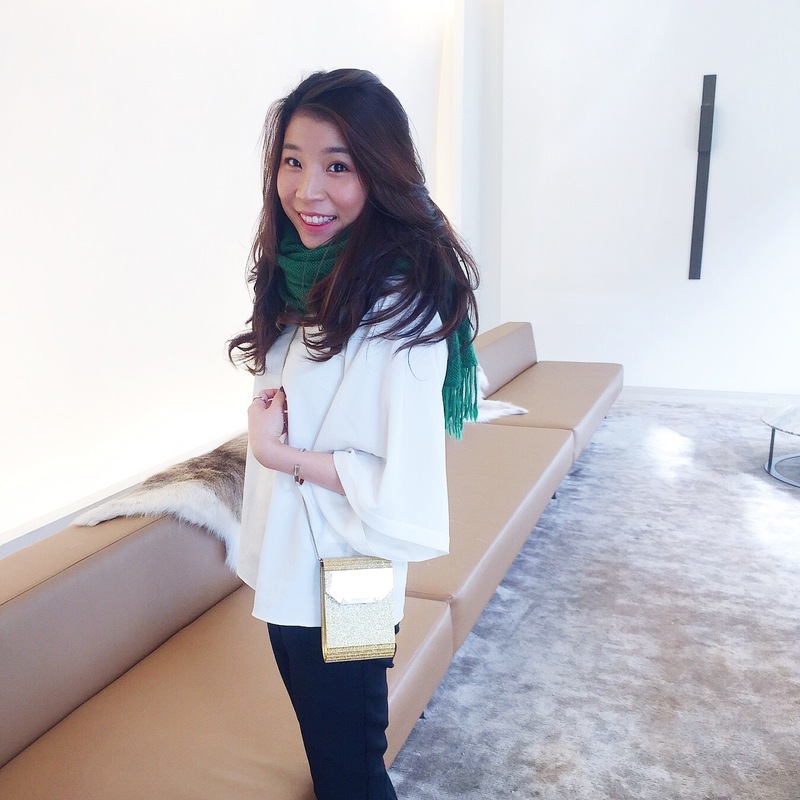 It is fashionable, edgy and unique. The palette comes in a very sturdy, hard plastic box with a huge mirror inside that I am loving. All in all, I think this palette is great value for money and you get a variety of shades. 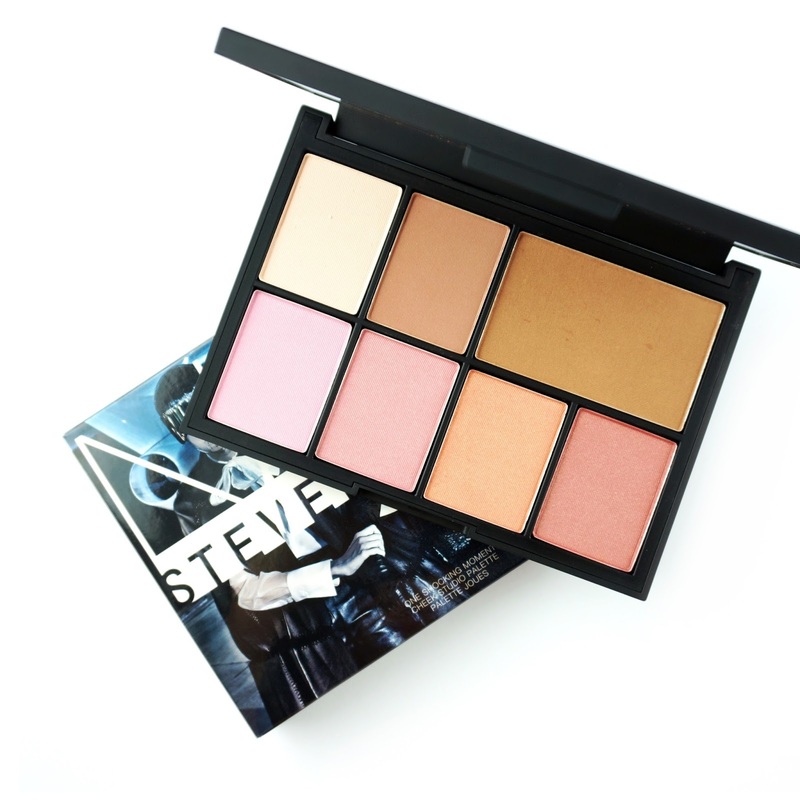 For someone who is new to the brand or only owns one or two NARS products, this palette is definitely worth the investment and is great for you to try out their range, including their cult classic Laguna bronzer. Available now on Mecca website and in store at Mecca Maxima and Mecca Cosmetica. 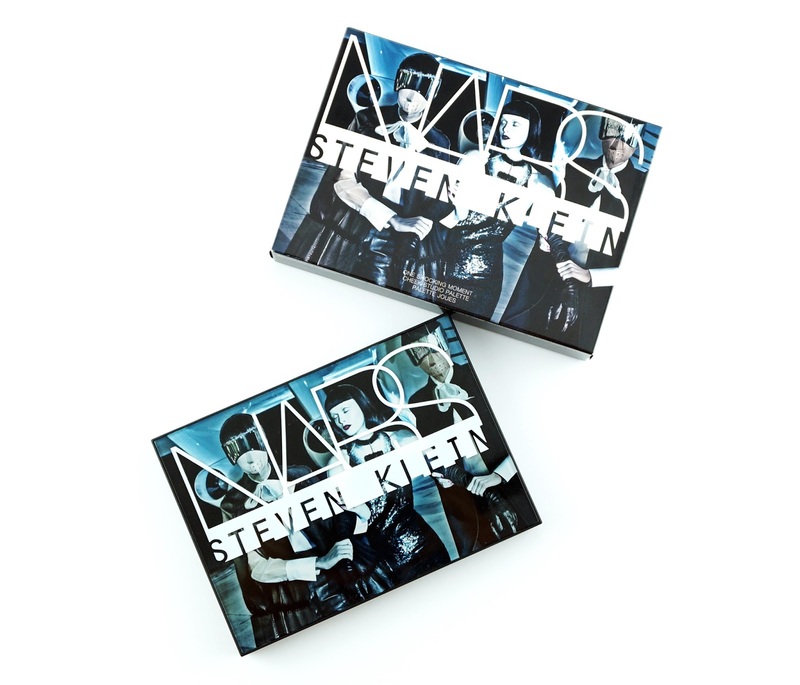 What do you think of the NARS x Steven Klein collection? Will you be getting anything from the collection? Let me know in the comments down below.